It's hard to find the best adhesives for junk journals, especially if you don't really know what you're looking for. I've finally got a short list of favorites, after years of trial and error. Glues work differently depending on many factors so it's good to know what works best on the various parts of your project. 1) My ultimate favorite glue is Yes! paste. The reason is that things stick to it right away and stay flat. I use it on my upholstery and fabric journal covers, chipboard, and cardstock. I also like it for layered collage art. The only downside is that it's a little messy to use, but it does wipe away easily while wet. When you work with it you'll need wet wipes on hand. 2) Aleene's Tacky Glue: for covers and cover embellishing, and attaching inner and outer spine materials. Works well on heavy cardstock, but will cause thinner paper to warp and wrinkle. 3) Scotch Glue: for gluing pockets, embellishments. Dries fast and wipes off easily. 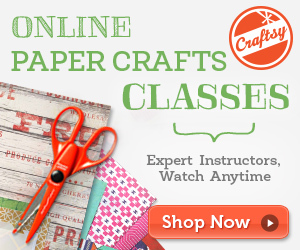 Great for copy paper, scrapbook paper. 4) Fabri-Tac Permanent Adhesive: lace, ribbon, flowers and hidden spine materials such as Kraft Tex, bookcloth and fabric. 5) Scor Tape or tape runner: inside book covers. Not recommended for pockets as cards and tags tucked in can get stuck on it. 6) Crafter's Pick Ultimate Glue: metal and plastic embellishments, enamel dots. 7) Scotch Permanent Glue Stick: for layering paper in collage art.